International Property Day 2017- Property Right: A basic constitutional right! 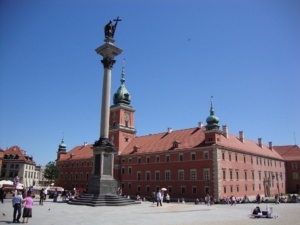 The event is hosted by UIPI’s Polish member PUWN (Polska Unia Właścicieli Nieruchomości) and will be held at the Polonia Palace Hotel in Warsaw, Poland (Aleje Jerozolimskie 45, PL-00-692 Warsaw). It will be the occasion to promote the constitutional protection of property ownership and reflect on the challenges to an equal enjoyment of this right. 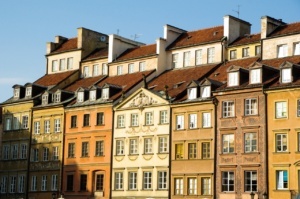 The celebration will bring together representatives of property owners’ associations from all over Europe to highlight the importance of the constitutional guarantee of property right in contemporary Europe, notably in light of a potential revision of the Polish Constitution. IT will also be the occasion to reflect on how this right is exercised in modern times. Dr. Marcin Święcicki is a Polish politician and economist. He holds a Doctorate in Economics from the George Washington University and is a former Deputy Minister of Economy, former Minister for Foreign Economic Relations (1989-1991) as well as a former Mayor of Warsaw (1994-1999). Following that he was Director of Economic and Environmental Affairs at the Organization for Security and Cooperation in Europe (OSCE). Since 2011, he is (again) member of the Polish Parliament. 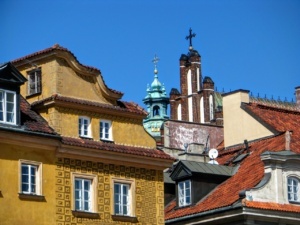 In the light of an initiative by the President of the Republic of Poland, it is probable that there will be a referendum on a change of the Polish Constitution. Mr. Święcicki will speak on the right to ownership being one of the fundamental human rights and also a right enshrined in the Polish Constitution which needs to be protected and preserved. Prof. Dr. Geoffrey Grandjean holds a Doctorate in Social and Political Sciences is a lecturer from the University of Liège. He also holds a title of Master of Arts in European Political and Administrative Studies at the College of Europe in Bruges from 2008. He also gives lectures at provincial schools of administration in Liège and Namur. In his career as a researcher and political consultant he published many papers analysing political and social phenomena in past and modern times. He will reflect on the challenges to secure an equal exercise of property rights. ABRACADABRA Project – Call for Cases!